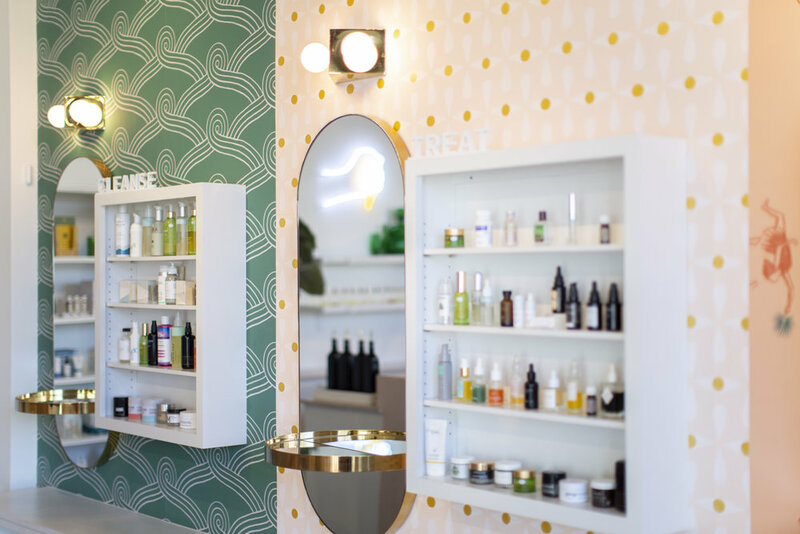 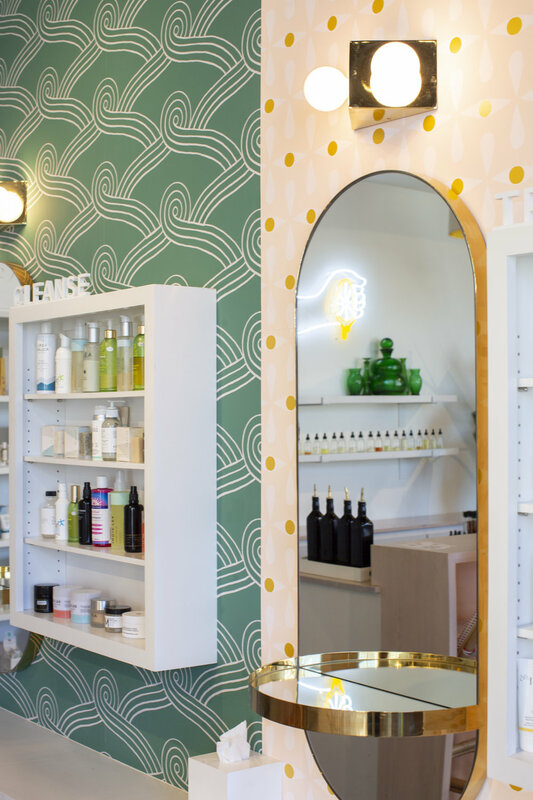 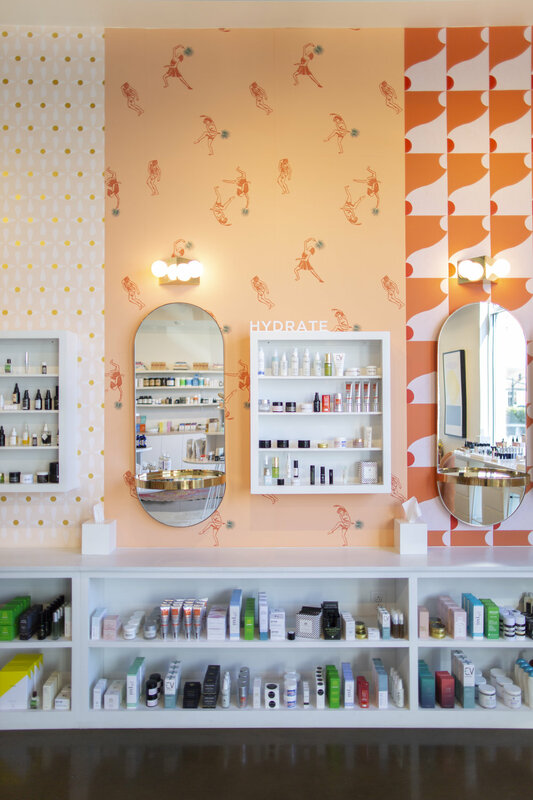 We created five custom patterns to be used as wallpaper and brand elements for Lemon Laine, a beauty store dedicated to natural body care and wellness. 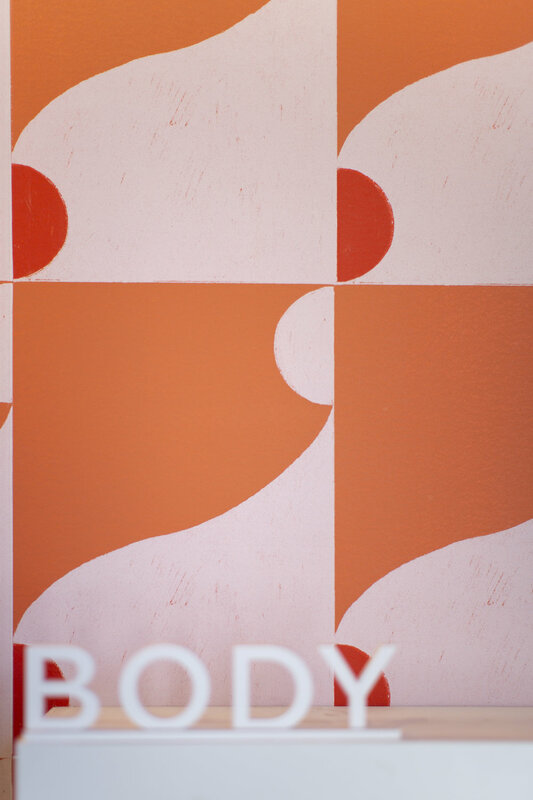 The designs are modern takes on femininity in a warm, rich palette. 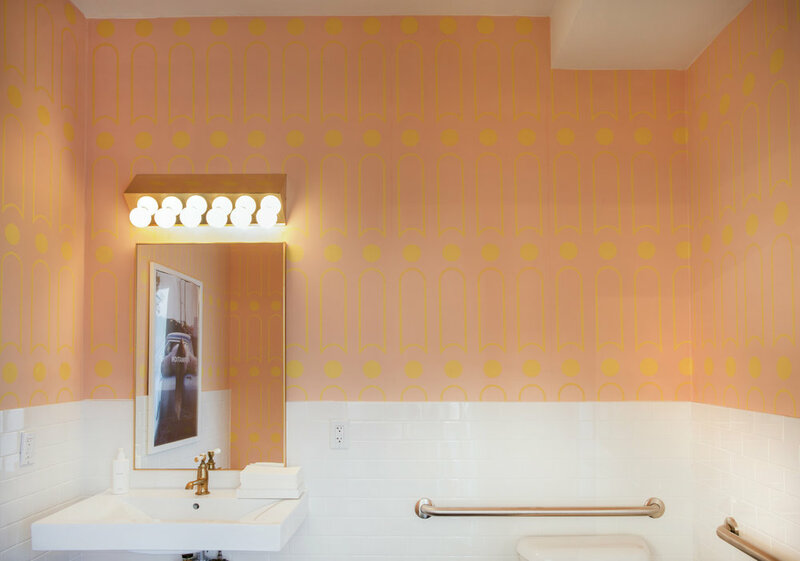 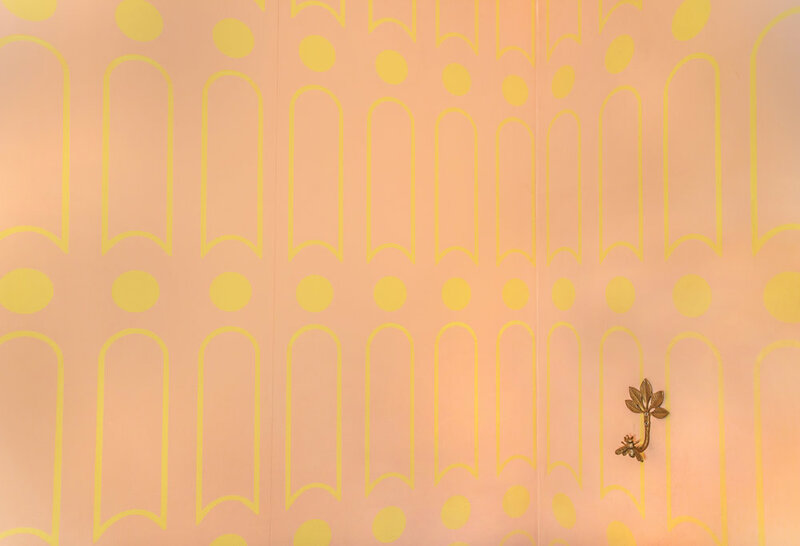 One pattern was used in the restroom, while the other four were installed side by side on the shop’s statement wall.